Can I go to school with Mono and participate in gym class? Posted February 18, 2014 under Ask Us. You can go back to school when your health care provider says it’s okay. This is usually when you feel much better, which may take a few days to a few weeks. However, you’ll probably still feel tired for a while. Most people get better within a month, but you may need to talk with your teachers or principal if your Mono symptoms are severe and are causing you to miss a lot of school. The good news is that once you’ve had mono, you probably won’t get it again. Usually most teens with mono are allowed to take part in some physical activities but NOT contact sports such as soccer, field hockey, softball or any other sport that could put you at risk of falling or bumping into another person, because this could possibly damage your spleen. 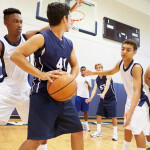 Tell your health care provider about the sports that you’re involved in.